Discover the quality of your fasteners by testing them BEFORE they are used in the field. Avoid liability that could be detrimental to the bottom line by using quality test data as your benchmark for critical decision-making. Threaded fasteners for safety critical applications are found throughout the aerospace, defense, construction and automotive industries. 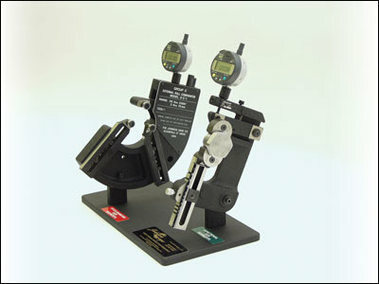 Fastener testing is used to measure the fastener properties and dimensional characteristics. Data gleaned from testing fasteners can be used to streamline production, reduce manufacturing costs, eliminate waste, and increase profitability throughout the supply chain. Ultimately the goal is to ensure that the fastener is safe and reliable for maximum performance. Quality Testing, Inc. provides a variety of fastener testing services depending on which specification a fastener must conform . Pitch diameter and functional diameter are used to determine a variety of thread characteristics. Quality Testing can check the dimensional conformity of your externally threaded fasteners up to 5/8" -11 by using the latest digital thread gaging technology.